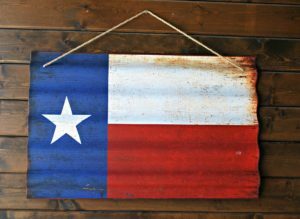 Midlands, Texas is taking over the mantle of being the hottest housing market in the country from the expensive California cities that have dominated the chart so far, according to the latest 20 Hottest Markets rankings released by Realtor.com  on Thursday. The monthly rankings  are created by analyzing housing market supply and demand by using realtor.com listing views as an indicator of demand and median days on market as an indicator of supply. The report revealed that Midland came out at the top of the order for the second consecutive month, while only four California markets appeared on the list in contrast to two months ago where more than half of the hottest housing markets were from the Golden State and included old favorites such as San Francisco, San Jose, and Sacramento along with newer entrants such as Vallejo, Santa Cruz, and Stockton. Several of the markets listed among the hottest ones were in states that many Californians are migrating to, the report indicated. May’s hotness rankings were distributed among nine other states and included Texas, Massachusetts, Ohio, Idaho, New York, Michigan, Colorado, Indiana, Washington, and Wisconsin. The list saw seven Midwest metros in the top 20 as spillover demand for more affordable markets made these cities top the charts. Apart from Midland which maintained its No. 1 position, Boston-Cambridge-Newton in Massachusetts, New Hampshire; San Francisco-Oakland-Hayward in California; Columbus, Ohio; and Vallejo-Fairfield, California also maintained their April Hotness ranking of second, third, fourth, and fifth hottest markets respectively. Grand Rapids, Michigan and Fort Wayne, Indiana ranked ninth and tenth had made the biggest jump since April, when they were ranked 25 and 30 respectively, according to Realtor.com.